Cinco de Mayo commemorates the Mexican army’s victory over the French in the 1862 Battle of Puebla. 156 years later, it is somehow an excuse to party. Who are we to complain? 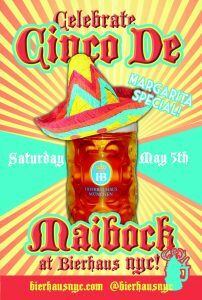 Leading up to Cinco de Mayo, Mad Dog & Beans Mexican Cantina is celebrating by featuring premium tequilas and Mexican beer each weekday, culminating in the big day, Cinco de Mayo on Saturday, May 5, 2018. They have partnered with their favorite brands to bring customers special deals, freebies and the chance to win fabulous prizes. Free tequila and cerveza tastings every evening. All promotions are from 6-8pm unless otherwise noted. Good for $5 drink specials from from 6pm to close. 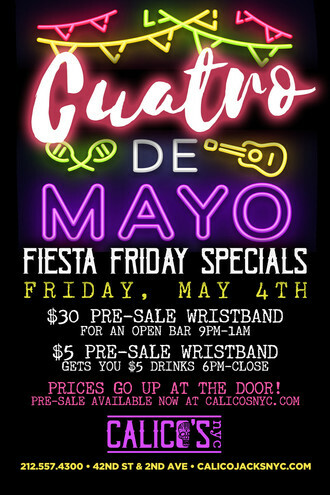 $5 drink special includes $5 Coronas, $5 Modelos, $5 margaritas & $5 well cocktails. Purchase of this wristband includes entry fees. Includes 4 hour open bar special from 9pm to 1am. The open bar includes unlimited Coronas, Modelos, Margaritas and Well Mixed Cocktails. 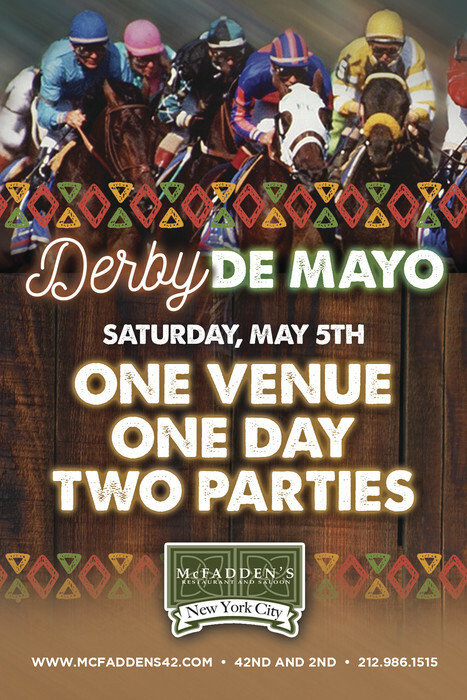 includes well mixed drinks, margaritas, domestic drafts, house wine & $5 tequila shots! Buckets of Corona or Pacifico: 5 for $30.